Can Kiwi males write romance? Yes! Darian Smith’s latest paranormal romance novel completely won me over. 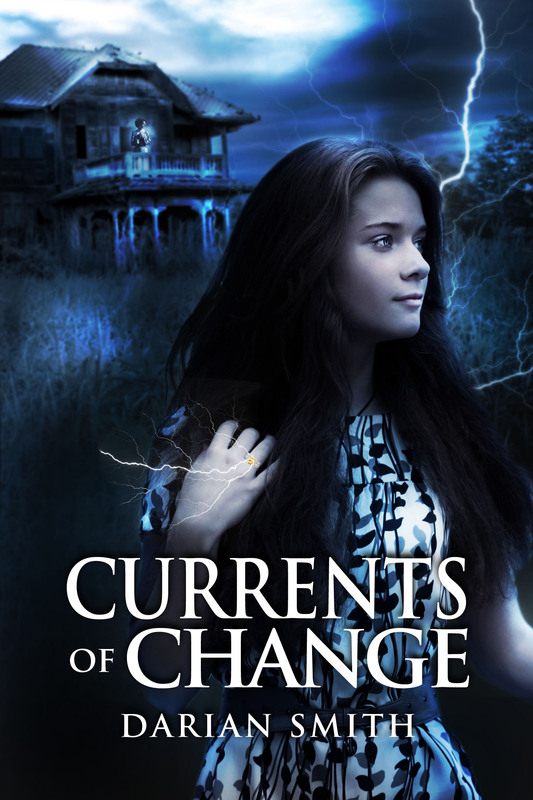 Currents of Change is the suspenseful story of a woman trying to start a new life while haunted (literally) by ghosts from the past. It recently made number 1 on an Amazon bestseller list. Darian is also one of the fantastic line up of speakers at this years Romance Writer’s NZ conference in August, so it’s high time we found out what motivates a Kiwi bloke to write romance…. 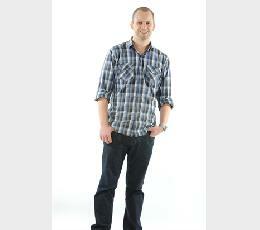 Q. Darian, you appear to be one of few men in New Zealand writing romance. Was it a natural choice for you? Are you the lone guy at the romance writer’s meetings? What’s that about? A. Haha. Yes, there are a few men around writing in the genre and some more purely romance than I, but let’s just say there’s never a queue for the men’s lavatory at those meetings! I think romance gets a bit of a bad rep a lot of the time and particularly among blokes, but we’re kidding ourselves. Romance is a juggernaut of publishing and it’s part of almost any memorable story you care to mention. Even in the most blokey of blockbuster action movies, there’s going to be an element of romance. Why? Because it’s part of what makes us (and the characters) human. The plot of a story makes it interesting but the characters are what makes you care about it. The relationships between characters bring them and the story to life. For me, it’s about finding the right ratio of action to romance for that particular story. Q. Why did you choose to write romance as a genre? A. I never actually set out to officially write a romance when I wrote Currents of Change. It just so happened that the idea I had for the novel – with its magic and tension and danger – leaned that way. I wanted to tell the stories of these two women going through changes in their lives and their relationships – Sara in the present day, coming to terms with starting her life anew, and her ancestor, Bridget, doing the same thing as an early immigrant to NZ. The stories are connected and the relationships have far reaching consequences. As I developed it further, it became clear that this would fit the parameters for a paranormal romance. With that in mind, I wrote it with the aim of submitting it to the Pacific Hearts Award, which is a romance writers’ award here in NZ. While it didn’t win, it did get some excellent feedback and one of the judges even gave it a perfect score, so I knew I was on the right track. Q. Did you read other romance novels in preparation to write? A. Not a lot, if I’m honest. My wife writes romance novels so I got a lot of advice about the romance thread of the story from her as I went along. I have read a few that fit in the paranormal subgenre of romance (Nalini Singh springs to mind) and that works well for me because they have a mix of magic and action to go along with the romantic elements. I am a boy, after all, so I still like my fight scenes and explosions! 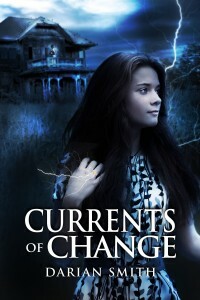 Q. Currents of Change is a paranormal romance. Do you believe in ghosts? A. Nope. I love writing fantasy and paranormal stories and I kinda wish I did believe in that stuff sometimes because it seems like the world would be a pretty interesting place. I always thought I’d do well living in Sunnydale because I’d never leave the house without being prepped for vampires. But actually the real world is probably scary enough! Q. Have you ever had a paranormal experience? A. Not really. I think I have a pretty good intuition and have had moments that almost felt psychic – like getting a feeling that I should buy a particular scratchie ticket and winning $20 – but that’s probably as close as it gets. I have a belief in a higher power and connectedness that we all share, if that counts. Q. Who is the person in history you’d most want to meet as a ghost? A. Maybe someone like Oscar Wilde just because he was such a witty guy and seems like he would have been hilarious to hang out with. And it would be interesting to see what he thinks of modern day storytelling. Q. Have you ever considered writing erotica? A. Considered it. Not sure if I’ll ever go there. Or, if I do, it will probably be under a different name and you’ll never know! I’m constantly surprised by the proliferation of dinosaur erotica and the like so maybe I should give that a go sometime! That said, I mainly follow what the story requires so if it’s part of the story I’m working on, then I’m up for it. A. I’m very excited to be one of the presenters at the RWNZ conference this year. There are some incredible writers on the list and the conference is always worthwhile for writers of any genre, I think. My talk is cheekily titled “Keep Your Pants On” and is about planning your novel before you write it. There’s much debate amongst writers about whether one should be a “pantser” and write by the seat of your pants or a “planner” and set out a structure ahead of time. I’ll be talking about the pros and cons of each and outlining what I think is a really useful way to plan a novel. The idea is to make it easier get things like pacing, subplots, character backstory etc right ahead of time so you spend less time rewriting your n ovel at the other end. Q. How are you finding the process of marketing a romance novel? A. I find marketing difficult in general. It’s a completely different skillset to writing and I’m naturally an introvert so it can be difficult to tell whether I’m putting myself “out there” too much or not enough. I think taking the opportunity to talk about the book has helped and I’m incredibly fortunate and grateful that those who have taken a chance on the book seem to have liked it and many have been willing to post reviews, which helps a lot. I’m experimenting from time to time with different promotions/advertising and that seems to be very hit and miss at the moment. Q. There’s a lot of ancient Maori spiritualism in your novel. How did you go about researching this to get it right, who did you talk to? A. I’ve been fortunate enough to have a certain amount of grounding in Te Reo and Maori culture by virtue of being an interested New Zealander and because my jobs have required it. I also spent a lot of time searching the internet and making use of translation services to get the terminology I wanted right and to ensure that there was meaning behind the name of the town, etc. But the novel is fiction and I’ve blended elements of spirituality and myth from two cultures with my own fantasy creation so it’s not intended as a guide to Maori spirituality at all. While I know which part of New Zealand my town of Kowhiowhio is set in, the town itself and the Iwi described are fictional because I didn’t want to inadvertently offend anyone or demonstrate my ignorance any more than I have to! A. I’m currently juggling three projects, which is not what I like to do as my tiny brain really only wants to focus on one thing at a time. One is a collection of short stories, one is a small book for writers on how to use psychological theory to create characters and conflict in their writing, and the other is a fantasy/mystery series following on from the novel that won the SpecFicNZ/Steampress Manuscript Competition a couple of years back. The first two I will be releasing myself over the next few months. The series is being shopped around by my literary agent in America looking for traditional publication. 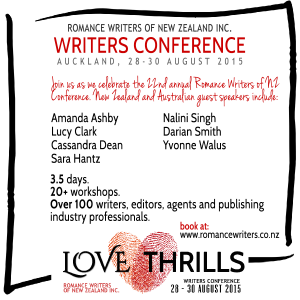 RWNZ Conference details: To hear Darian and other fantastic authors, including Nalini Singh, you’ll need to book at www.romancewriters.co.nz It will be 3.5 days and over 20 workshops full of awesome, so sign up now. Thanks for inviting me onto your blog, Jan. I really enjoyed our discussion. Thanks for the great comments. I loved your book and will be recommending it left, right and centre! Thanks Kura. I really did love reading Darian’s book. Maybe because it wasn’t what I expected. The NZ setting was great and had enough paranormal to keep me invested in the story. Have your read it?